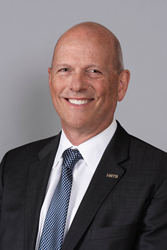 Goran Sparrman has joined HNTB as business development officer and vice president. He is adept at understanding how investment in multimodal transportation benefits communities and cities for decades to come, which is critical in a rapidly growing region like the Northwest. Goran Sparrman, PE, has joined HNTB Corporation as business development officer and vice president. Based in HNTB’s Bellevue office, Sparrman is responsible for continuing the firm’s growth in the Pacific Northwest by expanding HNTB’s footprint in the region and supporting infrastructure clients by tackling their most challenging issues. Sparrman brings more than three decades of private- and public-sector experience to the firm. In this newly created position, Sparrman will work with office and division leadership to discover new clients and markets as well as enhance client relationships to understand priorities and deliver effective solutions that will improve mobility for all. Most recently, Sparrman was interim director for the Seattle Department of Transportation, where he led planning, design, building, maintenance and operations of Seattle’s transportation infrastructure. In addition to his work for SDOT, Sparrman also worked for the City of Bellevue as its director of transportation and the cities of Portland, Oregon, and Sacramento, California, where he held traffic management leadership roles. Sparrman is a licensed professional engineer in Washington and holds the equivalent of both a bachelor’s and a master’s degree in civil engineering from Chalmers University of Technology in Gothenburg, Sweden. HNTB established its Seattle office in 1961, but the firm traces its roots in the region back to 1912, when the Columbia River Interstate Bridge between Portland, Oregon, and Vancouver, Washington, opened. The bridge was designed by John Lyle Harrington, a partner in HNTB’s predecessor firm, Waddell & Harrington. HNTB has grown to employ more than 180 professionals in the region who help play a role in planning and delivering high-profile transportation infrastructure projects across the state and around the country. HNTB’s many signature infrastructure projects in the region include SR 99 Alaskan Way Tunnel; Mercer Corridor improvements in Seattle; Seattle-Tacoma International Airport third runway; second Tacoma Narrows bridge; Sound Transit University Link Light Rail Extension, Lynnwood Link Extension, West Seattle and Ballard Link Extensions and East Link Extension; Washington State Department of Transportation General Engineering Consultant Services for I-405 and SR 509; South Park Bascule Bridge Replacement in Seattle; Mount Baker Ridge Tunnel; historic work on I-5 dating back to the 1960s; and Tilikum Crossing bridge in Portland. HNTB Corporation is an employee-owned infrastructure firm serving public and private owners and contractors. With more than a century of service in the United States, HNTB understands the life cycle of infrastructure and addresses clients’ most complex technical, financial and operational challenges. Professionals nationwide deliver a full range of infrastructure-related services, including award-winning planning, design, program management and construction management. For more information, visit http://www.hntb.com.